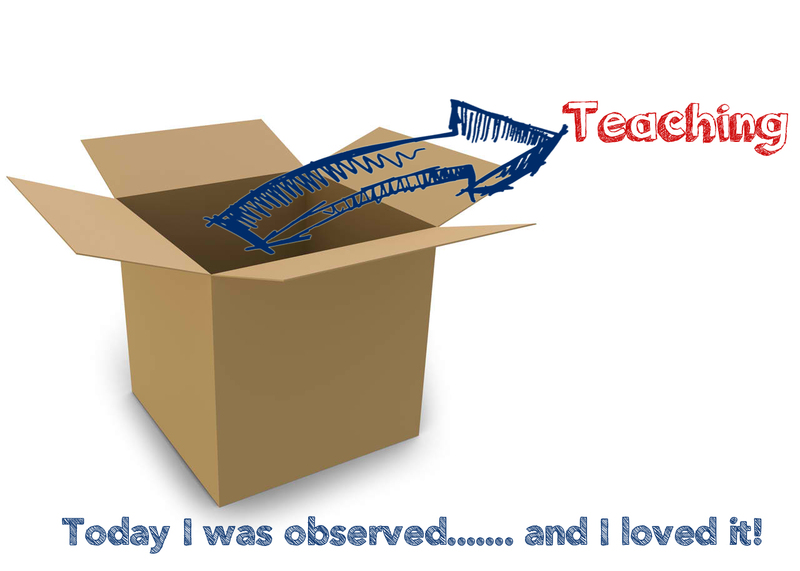 Remember the old days when a lesson observation was THE deal breaker, well at least in my mind it was. This was my chance, a window to showcase my repertoire of teaching tools and cram as much into that 30/60 minute session as I could, an all singing all dancing lesson, in essence I was ‘playing the game’. To some extent in my early career this was very enjoyable, I really wanted to achieve the teaching nirvana that was the grade 1 (outstanding). I soon worked out that to achieve this it was a simple check box exercise through interpretation of the schools/OFSTED criteria, so when planning obsessively for it I would ensure all bases were covered, and from that day on I was an ‘outstanding’ (Grade 1) teacher……… or was I? Upon reflection, looking back, over time I felt somewhat unsatisfied and from that point on lesson observations became a repetitive chore and ultimately not conducive to my own professional development. The reason for this was that in reality the feedback I was receiving became skewed as it was justifiably based upon the ‘show’ I was putting on for the observer(s). Reflecting on this now as a school leader in my role as Teaching and Learning/CPD lead, and a continuing classroom practitioner, in my humble opinion I would argue this is everything that is wrong with the accountability ‘system’ driven to some extend by OFTSED over the last decade. Do you see lesson observations as developmental and a chance to reflect upon your practice? Do you use the feedback/dialogue following your observation to underpin your professional development needs? Do you get the opportunity to observe colleagues or perhaps joint observe with a colleague? Great! Because this is what lesson observations should be all about and not simply an accountability measure for schools to put a number on teaching. I was recently at a conference and overheard a conversation during a short break we were having between two senior leaders from different schools. They were having a healthy debate around leadership of teaching, learning and CPD, and in essence they were discussing the move to ungraded observations in their respective schools. The conversation quickly moved onto the hot topic of empowering staff and the potential move to not grading teaching in individual lessons. 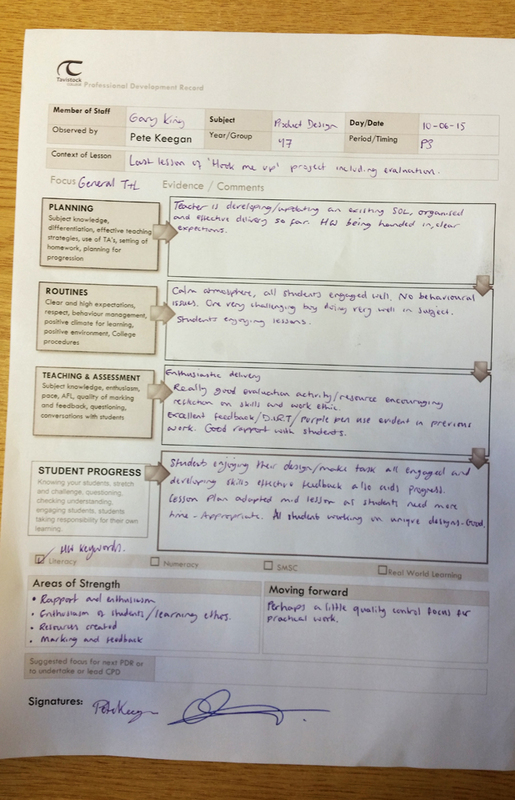 To keep it brief, the upshot of the dialogue was that in this particular school, the T&L leader decided to keep grading observations through sheer convenience of being able to meticulously grade teaching overall with what he felt was unquestionable accuracy. This shocked me, I kept tight-lipped and resisted the urge to interject with my own views on empowering staff through effective use of ungraded observations. Teaching that isn’t confined to a box…….. and it feels great! 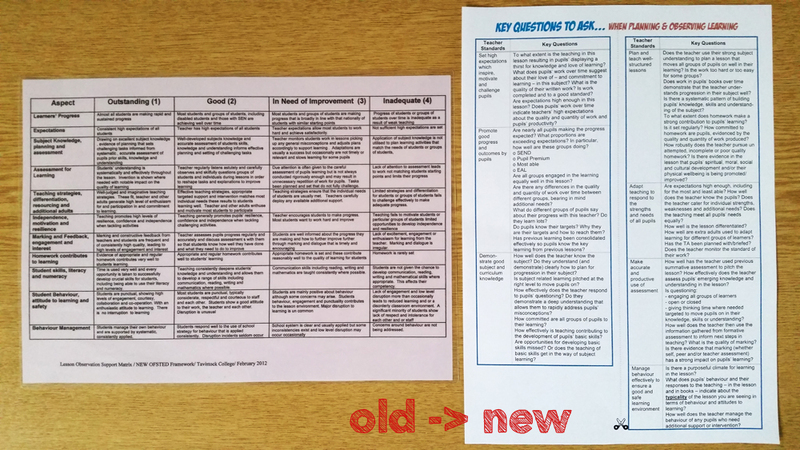 To conclude, the feedback centers not only on areas of strength, looking at where you could feed into the whole school CPD model through leading sessions, but for me the most useful part was the one big thing I need to work on this term to move my teaching forwards. This is succinct, with a clear focus and also measurable in future observations. I love your advice on how teaching is refined and professionally developed over time. I would agree that coming up with curriculum for your students is often modified over time to what you have found to work best. That is interesting that you enjoy getting feedback to help you to grow as a teacher. Thank you for sharing why classroom observation can be so beneficial to your development as a teacher.